Karnataka Chief Minister B S Yeddyurappa on Sunday took on Governor H R Bhardwaj alleging that he was trying to throw the Bharatiya Janata Party out of power and install a Congress government in the state. Yeddyurappa, who arrived in New Delhi, said he was trying to meet Home Minister P Chidambaram and explain what was happening in the state, including the governor giving sanction to prosecute him for alleged land scams. I want to meet Chidambaram. I want to explain everything. Can we tolerate the governor giving sanction for prosecution? This is an insult to the people of Karnataka, this is an insult to the chief minister and an insult to the democratic system," he said. He said senior BJP leaders and MPs will meet President Pratibha Patil on Monday and raise the issue with her. 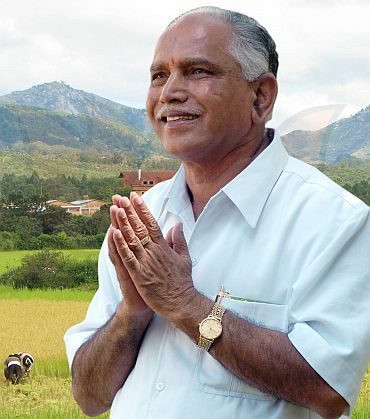 Slamming Bhardwaj, Yeddyurappa said, "This is not the first time he is doing something. He took over as the governor, but he is acting like a Congressman even today. He wanted BJP to go and Congress to come to rule. That responsibility he might have taken," the Chief Minister said. 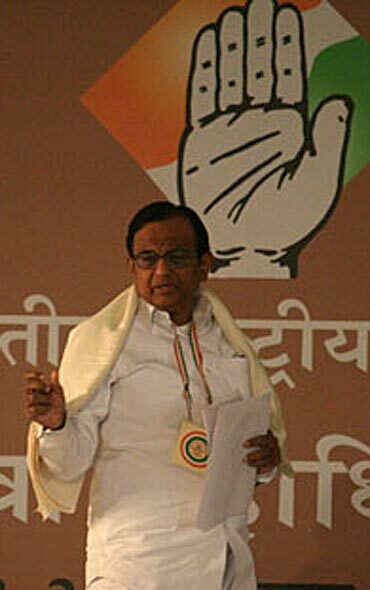 When it was pointed out that Chidambaram had criticised the BJP for its attack on the Governor, he said, "I have great respect for Chidambaram. He may not be aware of the facts. I am trying to meet him and explain all these things." He also refused to comment on BJP chief Nitin Gadkari's remarks that the controversial land allotment made by him was not an "illegal act" even though denotifying land in favour of his son was "immoral" and "not proper". Senior BJP leader Venkaiah Naidu said that the Karnataka governor should be recalled immediately. 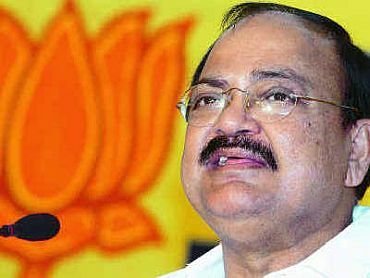 Saying that Bharadwaj undermined democracy, Naidu said that BJP would raise the issue vehemently in the nudget session of the Parliament. 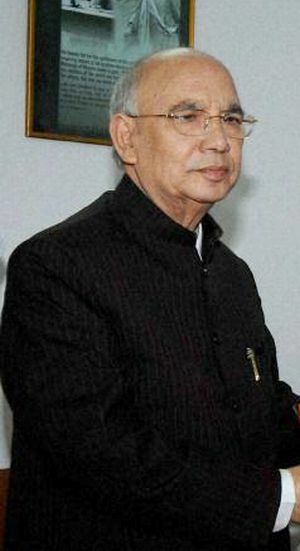 Continuation of Bharadwaj as Governor would "damage relations between Centre and the state," he said. The Governor was acting only as Congress's agent, he alleged. "Bharadwaj is acting and the Congress high command is directing the play against Karnataka Chief Minister. The Centre wants to divert the attention from its failures and also its own involvement in the corruption," he added.